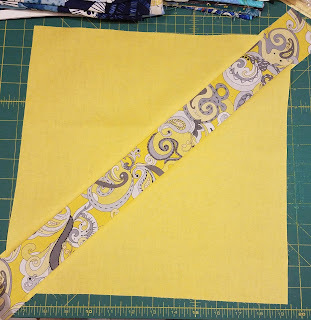 When I first heard that the theme for this week's Project QUILTING challenge was Mellow Yellow, I thought of our AMC Pacer, which my father purchased in the mid-1970s. He was so pleased with the car (it may have been his first new car) that he parked it on the front lawn and took pictures of it from a number of angles to show off its radical new design (which many considered less than attractive). He told us with relish that this fabulous new vehicle was not yellow or gold, but Mellow Yellow. 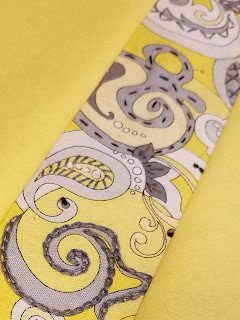 I considered making a quilt with a Pacer on it, but when I couldn't find an image that I thought showed a flattering angle, I opted instead to make a quilt using yellow fabric that brought to mind the silky polyester shirts my dad used to wear with his mod polyester leisure suits. Although his shirts were green or gray prints to match his dark green and navy blue suits, I chose a bright yellow paisley print to echo our Mellow Yellow Pacer. 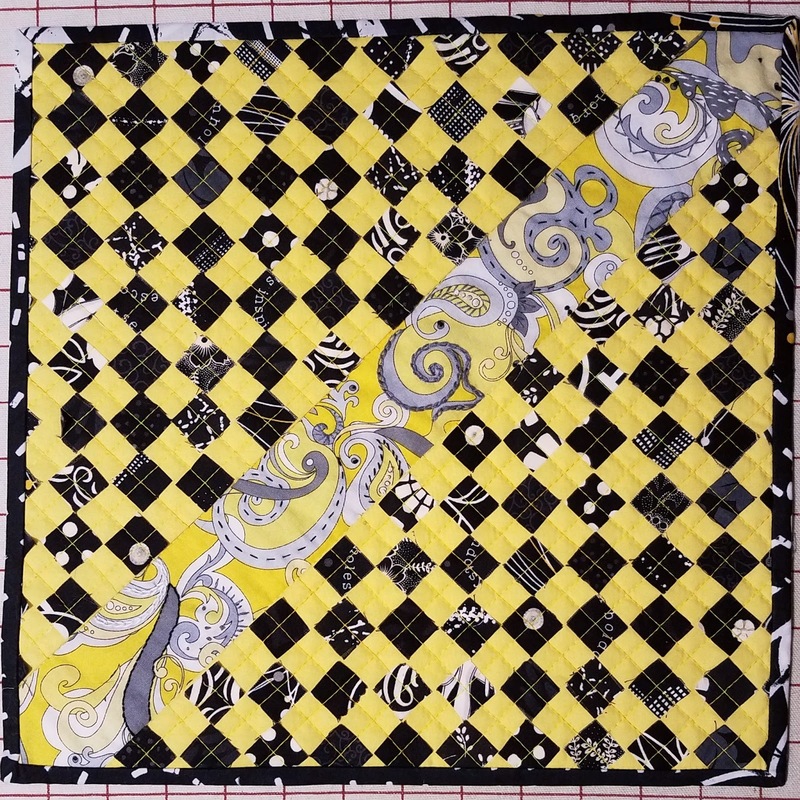 I started out by embellishing a strip of the yellow paisley print with some embroidery. Then I sewed the strip diagonally to a solid yellow square. I wanted to create a checkerboard surrounding to the strip using 3/4" pieces of black on black and black & white fabrics. 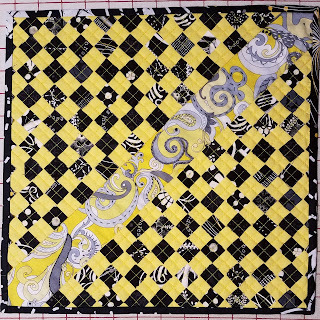 Because I planned to sew on the pieces with visible stitching, I decided to use that stitching as my quilting. 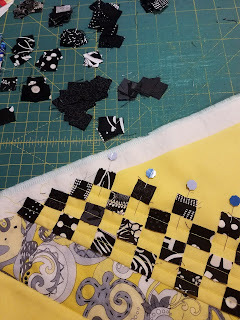 I put together my quilt sandwich and started pinning and sewing the pieces into place. 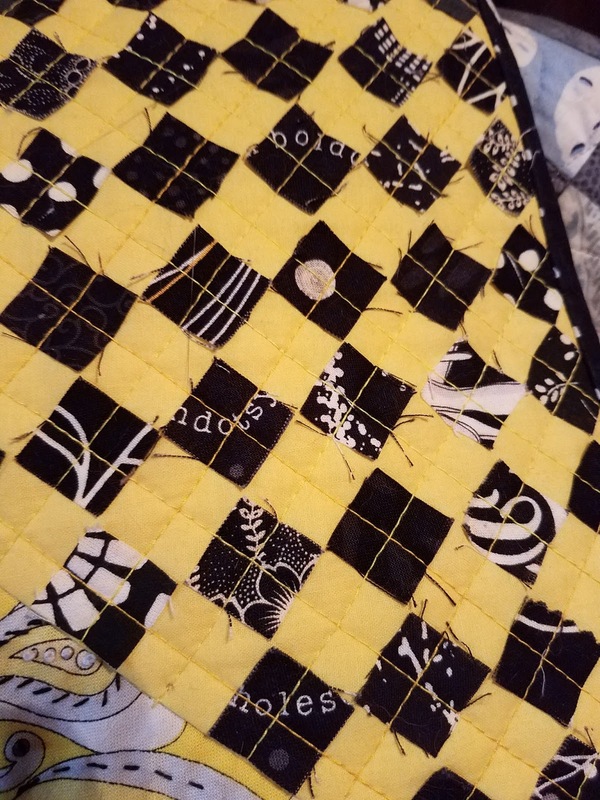 After sewing all of the pieces into place with stitching parallel to the strip, I added more quilting perpendicular to the strip. 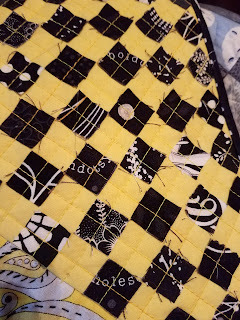 Of course, with all of the raw edges on the 3/4" squares, I had a lot of random threads all over the top. I waited until I had the quilt bound before I took time to remove all of the strays. I'm pleased with how it turned out (it's about 13 inches square). It probably won't say "Pacer!" to many people, but it's a reminder to me of how proud my dad was when he brought our mellow yellow Pacer home. what a great quilt! Thanks for sharing your memories and story!